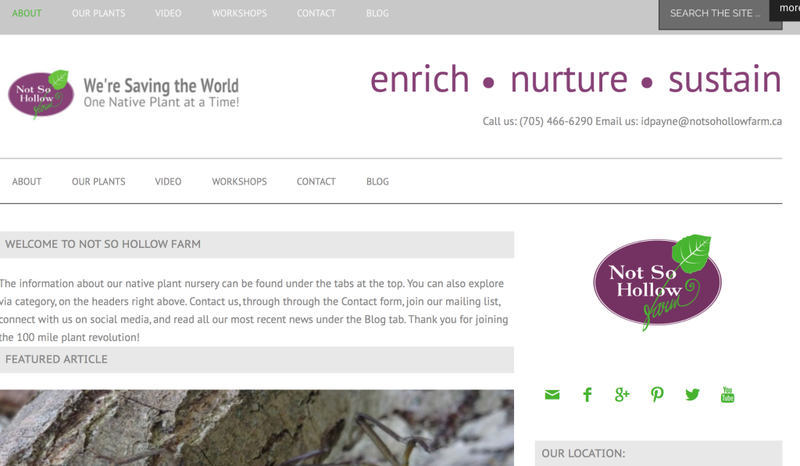 We were contacted, by Not So Hollow Farm, to create a friendly, accessible site that would showcase their native tree and shrub farm. In addition to the nursery, the Farm also hosts events and has a kiosk (made from a groovy shipping container) that is their farm store. They sell native plant cards, bee boxes and seed bombs etc… It’s a pretty cool set up. (We are adding shopping capabilities to their site, in the very near future).